I have been giving my clients copies of Coral Magazine's bimonthly issues since volume one, number one; February/March 2004; Seahorses. It has become a very valuable selling and learning tool for my company and customers. I was speaking with publisher Leng Sy at the Reef-a-Palooza event, Orange County Fair Grounds in September and informed him how much my customers enjoy receiving their copies and how my livestock sales inevitably go up when there is a "hot" cover story. I was bit alarmed when I received the following letter from Leng in the mail a couple weeks ago. First of all, we'd like to thank you for your support for Coral magazine over the past five years. It is precisely the enthusiasm you have shown for what we hope has been a very high-quality publication that has led to our decision to sever ties with our German counterpart, Koralle. Instead, we are in the process of designing what we hope will be an even better magazine. To that end, the October/November 2008 issue was the last issue of Coral we will be publishing. 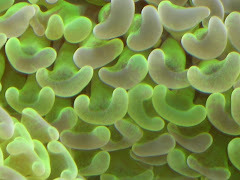 Our decision to cease producing Coral was not made lightly. However, we feel we can offer our readers higher-quality information in a more timely manner by taking control of our own publication. 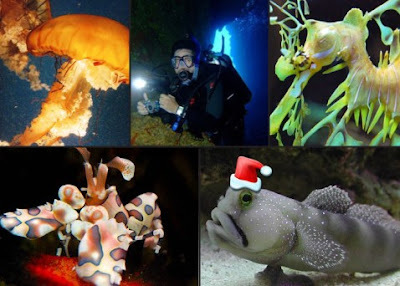 As you will learn in the upcoming months, we will be providing readers with up-to-date information from world experts in the various disciplines that contribute to coral reef aquarium keeping, as well as details of the latest animals available to the trade. 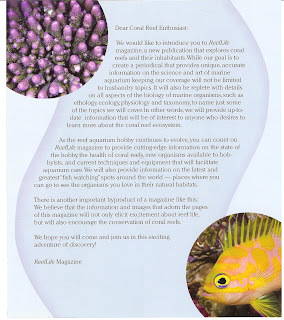 The first issue of ReefLife will be out on the stands in Spring 2009 and publication will continue on a bimonthly basis. Additionally, we will soon be launching the ReefLife web site, where we will be providing you with updates on the truly exciting content you can expect to find in the magazine. 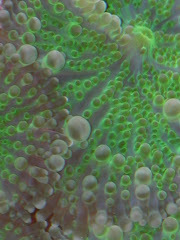 The Coral Magazine web site will continue to be used as a site for purchasing back issues of Coral. For more details, go to the Back Issues page. 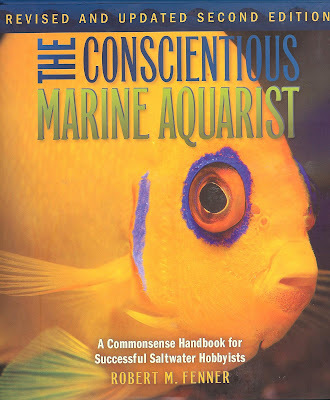 Again, we thank you for all your past support and hope you will continue on with us as we produce the best marine aquarium publication ever! I am looking forward again, to volume one, number one of a new and exciting product from Leng Sy. These are the posts that I got started this year, but I never completed. Design/text issues are "as is". Enjoy! The Psuedochellinus mysterii is commonly known as the Mystery Wrasse or Five bar Wrasse. This fish gets its name as nothing much is known in detail about it as they are rarely collected. As the name signifies the Mystery Wrasse fish has a unique 5 lines on its attractive body. 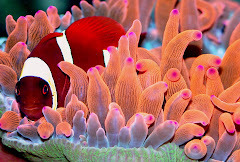 They share some resemblance with the behavior of 6 line wrasse fish. Most of the Mystery Wrasse fish has white bands running over its reddish maroon body. Its face has yellow, blue and purple outline that adds to the mystic beauty of this Mystery Wrasse fish. This wrasse fish has a unique, distinctly noticeable eyespot enveloped by bright yellow colour, on its green tail. This feature puts its predator into trouble as they get confused between the fish’s head and tail. To protect themselves from the predators, they are equipped with spiny fins. The Mystery Wrasse fish has thick lips and powerful jaws to crush its prey. The Mystery Wrasse is a rare salt water fish that could be easily maintained. But very little is known about this fish as they live deep in the see. This hardy fish is of high demand in the pet fish market. This fish will bury itself into the sand bed when intimidated by predators. 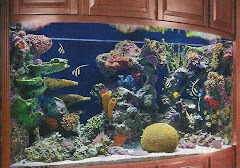 So, an ideal fish tank would require sand substrate or algae bed. The Mystery Wrasse fish is known for its reef compatibility and good appetite. This is a peace loving community fish. As they have a tendency to jump out of the tank while mating or when frightened the tank should be properly covered. An ideal fish for the reef aquarium, this recently described species was collected for the trade long before it was described. Once thought to occur only in a few isolated areas, it has been recorded from Australia, Marshall Islands and other locations throughout the Indo-Pacific. Found only in deep water, further exploration will likely expand its range. Bold and hardy with a great appetite, The Five Bar Wrasse is ideal for the reef or fish only aquarium. Also known as "Mystery Wrasse" and "Tail Spot Wrasse". 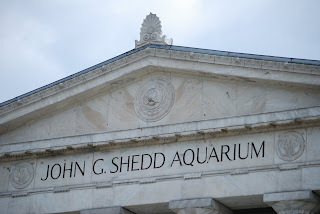 I had the opportunity to spend a half a day at the John G. Shedd Aquarium in Chicago a couple of weeks ago. 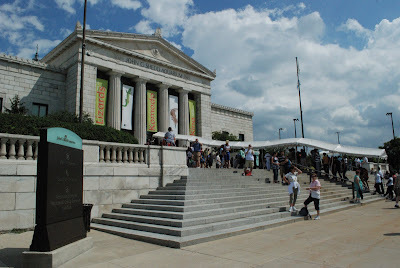 The Shedd Aquarium was built in 1930 prior to Chicago's World Fair and is the largest indoor aquarium in the world and the home to over 1,500 species of fish and mammals. The half day there was in no way enough time for me to explore the entire facility. The architecture is very unique for the period that the building was built. John G. Shedd wanted as many details throughout the building to represent the ocean. Shedd Aquarium rises like a temple on the shore of Lake Michigan. A broad staircase leads to heavy bronze doors. The floor plan is traditional Greek. The foyer looks very Roman. The Caribbean Reef display was built in 1971 on the site of Shedd’s very first exhibit, the tropical pool. I made a quick trip down to San Diego last week (out of Los Angeles) to re-new my business membership at Birch Aquarium, UCSD's Scripps Institute of Oceanography. I have been to many public aquariums but find the Birch Aquarium one of my absolute favorites. 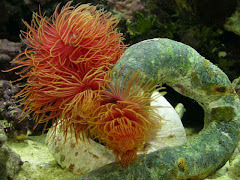 The aquarium was established in 1903 after the Marine Biological Association of San Diego was created to conduct marine research in the local waters of the Pacific Ocean. Its name was later changed to Scripps Institution of Oceanography to honor supporters Ellen Browning Scripps and E.W. Scripps, part of the Scripps family of newspaper pioneers. 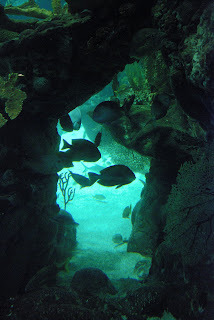 The founders built and maintained a small public aquarium and museum to communicate their discoveries to the world. The researchers outgrew their modest laboratory in the boathouse of the Hotel del Coronado and moved to a small laboratory at La Jolla Cove in 1905. Several years later, the association purchased 174 acres at La Jolla Shores for $1,000 at a public auction from the city of San Diego. The first permanent building at the new site was constructed in 1910. Today, this building is listed on the National Register of Historic Places. In 1915, the first building devoted solely to an aquarium was built on the Scripps campus. The small, wooden structure contained 19 tanks ranging in size from 96 to 228 gallons. The oceanographic museum was located in a nearby building. The institution's name changed to Scripps Institution of Oceanography in 1925 to recognize the growing faculty's widened range of studies. The Scripps Aquarium-Museum opened in 1951 and named to honor former institution director T. Wayland Vaughan. The three-story facility served the institution for more than 40 years. A ring of 18 tanks, the largest at 2,000 gallons, surrounded a central museum of glass exhibit cases displaying Scripps research projects. Within a month of its opening, visitors from all 48 states had signed the guest book. In 1985, Stephen and Mary Birch Foundation kicked off a fund-raising effort for a new aquarium by donating $6 million. JCJ Architecture of San Diego was selected as the design architect and in 1992, the current $14 million Birch Aquarium at Scripps opened its doors. University of California San Diego donated the land. Seawater is pumped up from the end of the pier, then filtered and stored in holding tanks, providing a supply of fresh seawater to Scripps laboratories and aquariums, including the tanks in the Birch Aquarium at Scripps. 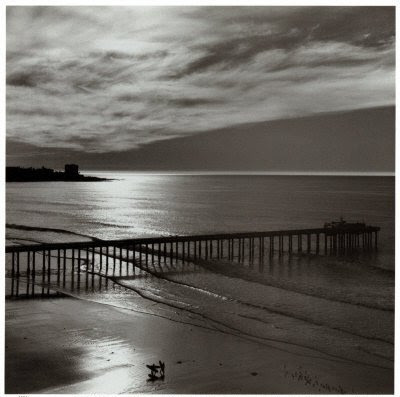 The rental price of the Scripps Pier is $15,000 per event. Running from Fallen Leaf Lake to Kiva Beach at Lake Tahoe is Taylor Creek. What was once an ordinary alpine stream is now one of Lake Tahoe's most popular attractions. The entire area, from the profile chamber to Kiva Beach, is great for kids. The National Forest Service has created interpretive hiking trails throughout the meadow where the creek approaches Lake Tahoe. The Lake Tahoe Basin Management Unit Visitors Center is located at the focus of these trails. The main attraction, however, is the stream profile chamber, which gives a glimpse into the alpine stream habitat. On the west side of Highway 89 the stream is a bit more rugged, but it is far from remote. Hiking along the creek there are numerous signs of human involvement, including Fallen Leaf Lake Campground. The biggest sign you'll find is the locks controlling the flow from Fallen Leaf Lake. The creek is the only spawning habitat for Tahoe's Kokanee Salmon, a landlocked version of the Sockeye. The fish are very successful here, to the point that the area is used to produce fry to stock other California lakes. Every year (beginning of October), the Forest Service plays host to the Kokanee Festival to educate and celebrate the spawning season. Happy Holiday's: 2008 Is Over! I hope everyone has a safe and relaxing Holiday Season. 2008 has been a great year for me and I am very optimistic that 2009 will be even better. 1) Sea Nettles: Birch Aquarium, UCSD Srcipps Institute of Oceanography, San Diego, CA. Sea Nettles are found off the coastal waters from Alaska to Baja California. 2) That's me! 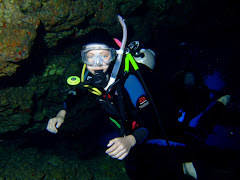 Diving with Extended Horizon's on Maui. 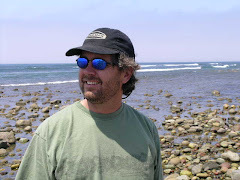 In my opinion, if you are going to Maui to dive, Ed and Extended Horizon's is the best dive op on the island. 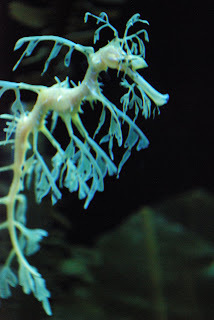 3) Leafy Sea Dragon: John G. Shedd Aquarium, Chicago, IL, July, 2008. Found around southern and western Australia and generally remain in shallow, temperate waters. These guys cost a hefty penny if you want to keep such an exotic animal. They usually run in the 10K range and if any of my customers would care to keep one, yes my 30 day livestock guarantee would apply. 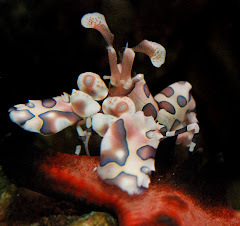 4) The Harlequin Shrimp. I did a recent post on the guys further down this page. I just think they are amazing creatures (and don't cost a one hunredth of what the Sea Dragons run). 5) This is "Gomez the Goby" feom Jennifer's 70 gallon reef tank, from Glenbrook, NV. Unfortunately Gomez checked out this year after a good three year stay. My daughter Madison, Sierra Saltwater Systems, Inc. secretary, put the hat on the little guy to add a little holiday cheer. My next post will be my year ending "The Posts That Didn't Happen" thread. Unfortunately I get a lot of posts started and never complete. My guess is that I may have close to a half a dozen started that I never completed.